Believing in the popularity of the most played casino game, VideoSlots has built a solid hub in the online gaming arena since starting out in 2011. They do not only provide a venue for slot enthusiasts, but for other types of casino game lovers who appreciate the massive collection the site offers. To date, there are more than 1,200 casino games, including favorites like blackjack, baccarat, roulette and scratch cards. If you’re a new customer, polish your skills with a 100% deposit bonus amounting up to €200. Signing up is hassle-free, as all games in Video Slots can be played right in your preferred web browser. No downloading required whatsoever. This is perhaps an important factor for the site’s success, particularly to those who are not fond of installing additional software in their computers. To create the best platform for its customers, Video Slots relies on its roster of software providers led by NetEnt. It takes pride in bringing the instant-play format to a higher level by bringing in other key players in software development. Due to legal limitations and regulations, the site cannot accept players based in some European, African and Asian territories, as well as United States. Perhaps the best feature of Video Slots is its instant-play format. To offer this type of platform calls for expertise of the best providers in the industry, most notably NetEnt. Today, there are over a thousand games from well-known developers like NYX, Microgaming Quickfire, Betsoft and Yggdrasil. Such support from the big names in software development enables you to have your fill of slot gaming in a user-friendly interface. You can find everyone’s favorite video slots like Immortal Romance, Heist and Dr. Magoo’s Adventure. For the table games enthusiast, you can select from more than 20 types of blackjack to challenge your skills. Players who are crazy about video poker can find a wealth of options in Video Slots. Try your hand at Deuces Wild, Jacks or Better and Double Joker. The list goes on and available in either multi-hand or single-hand formats. Seasoned online casino gamers need not worry about security concerns while playing their favorite games in Video Slots. If you scroll down the site’s frontpage, you can see numerous logos of their accreditations and the fine print to attest to the company’s credibility. The company, Panda Media Limited, got its license from both Gambling Commission in the UK and Malta Gaming Authority. 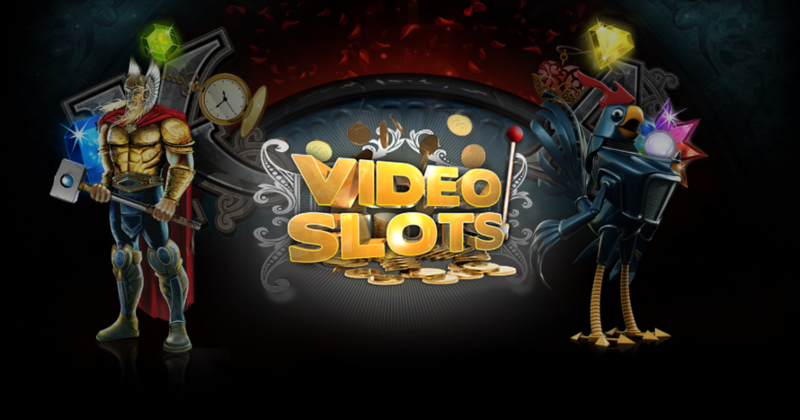 Video Slots has gained the respect of its peers, through commendations like the Best New Casino for 2014 from Casinomeister. It also received a nod from ThePOGG.com to guarantee that their operations, specifically payout times and bonuses, are carried out seamlessly. Video Slots online casino is also certified by eCogra to ensure fairplay through rigorous tests. As a testament to its policy on responsible gaming, Video Slots offers clickable tabs that lead to valuable tips from organizations like Gamblers Anonymous and GambleAware. When customers make their first ever deposit, Video Slots rewards them with €10 for free. They can also expect a sign-up bonus of 100% deposit of up to €200. To keep customers returning to the site, there’s a program called Casino Cashback in which you can earn back cash from your bets every week. Thus, the more bets you make, the bigger cashback you can get. There are different ways to get in touch with Video Slots if you are experiencing issues while playing. Customer service agents are available any time of the day through live chat, which is the quickest way. Phone inquiries and email are also encouraged.